So my love for pretzels has significantly grown ever since my wife and I have been getting them at our local pub. It’s soft, warm, salty and served with a cheese sauce that just makes the dish. 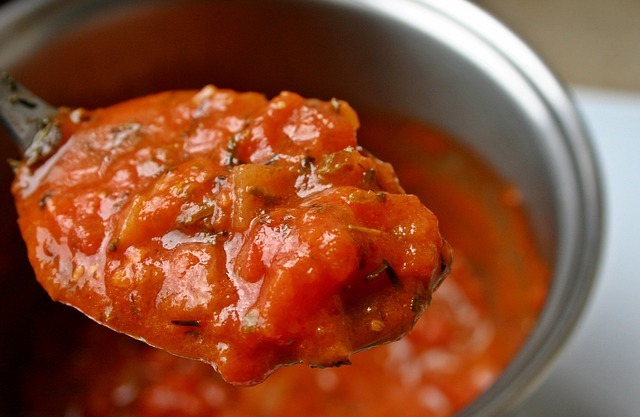 A couple dashes of Tabasco to give the rich dish a twang and your in heaven! Oh ya, and then you wash it down with a cold beer. The combination of it all is just perfect if you ask me and that is why I had to make my own at home. At first thought, from watching all the cooking shows on television I assumed making pretzels would be difficult. 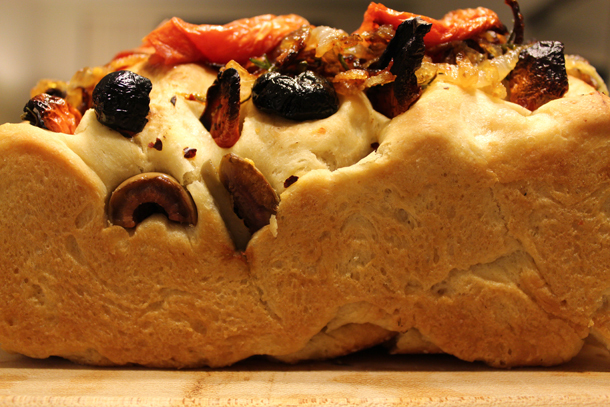 Almost like one would think when it comes to baking bread, but if you’ve ever baked bread you know it can be very easy too. Well pretzels are pretty easy. If you’ve done it once and you can do it again with your eyes closed. 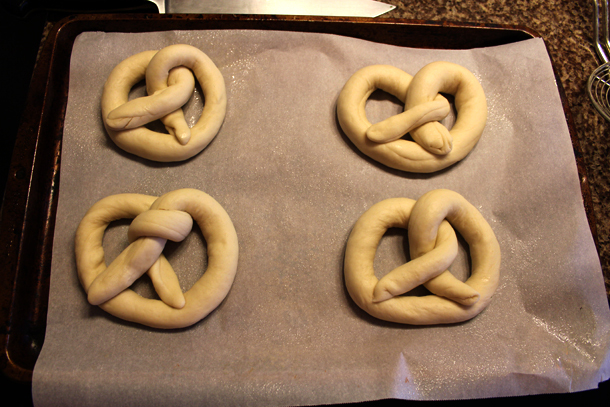 This is my first soft pretzel recipe I have posted on my blog. 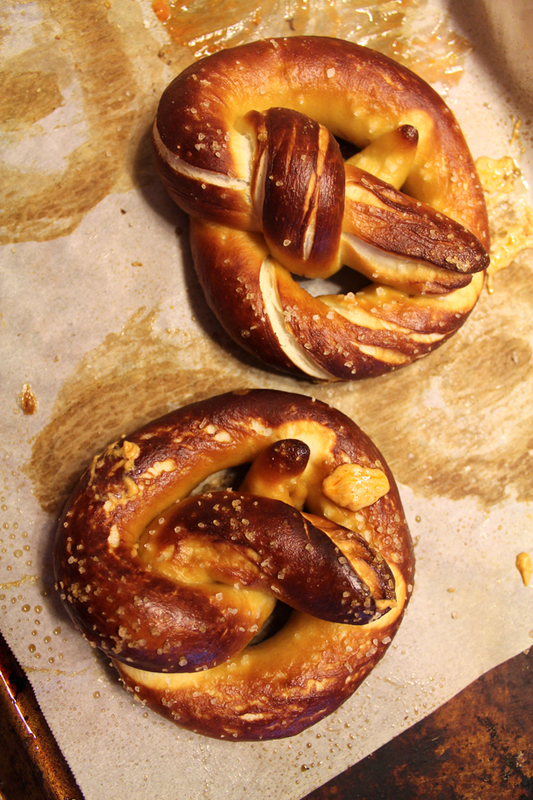 Stay tuned as I will be posting another pretzel recipe which is authentic and made with food grade lye. 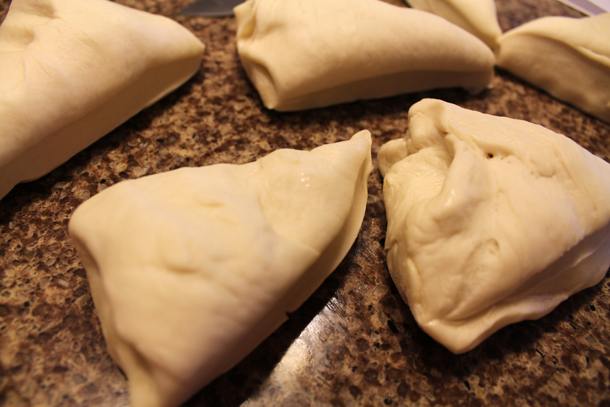 These easy homemade soft pretzels are so delicious you have to try for yourself. 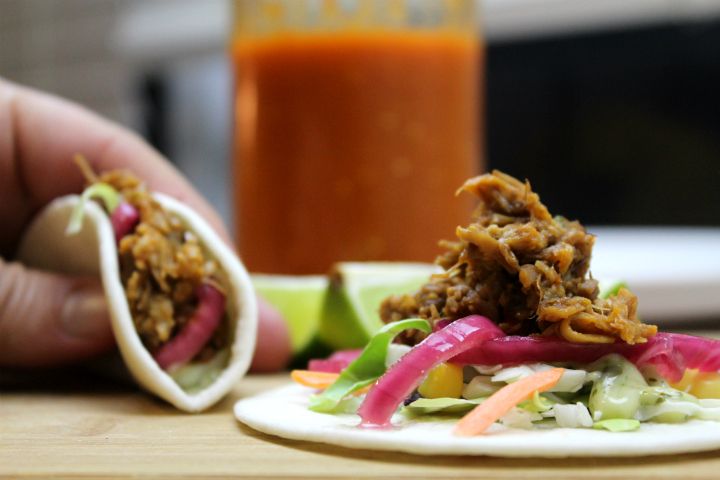 The original recipe is by Alton Brown which is posted on the Food Network site. 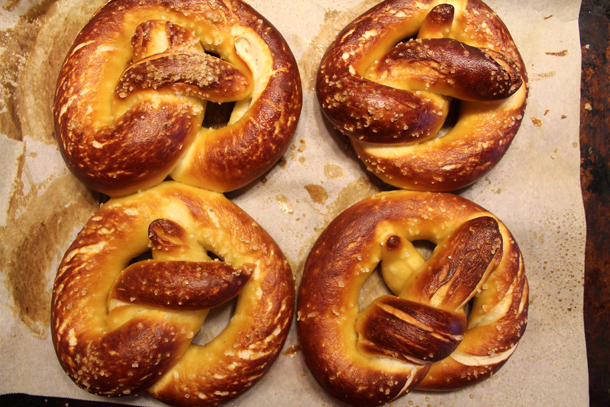 I chose this soft pretzel recipe from Alton Brown off the Food Network website. He usually does things to perfection while exploring alternatives to the dish and recipes he chooses.